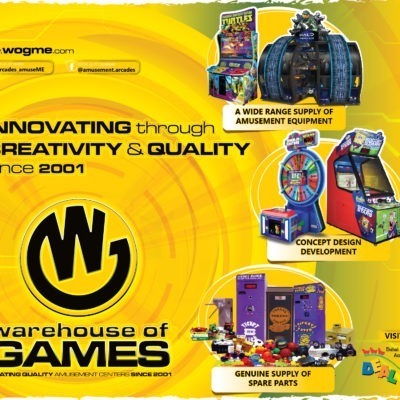 Warehouse of Games supplies, delivers, and installs the best amusement equipment on rent at extremely affordable prices. We collaborate with globally renowned manufacturers to let you rent machines that cater to all demographics and are perfect for all occasions, corporate or private. Warehouse of Gamesturns your concepts into executable ideas, enhancingthem and keepingthemrelevant and fresh. From providing project feasibility studies to design intent development plans, from landscaping solutions to installation-commissioning services and operations management, we help you create magic! In the fast-paced world of arcade and entertainment solutions, you need a service provider who is not only innovative and efficient, but also trustworthy and transparent. You need Warehouse of Games. The optimum standard of services we provide is only matched by our supremely talented and experienced team members and the unbeatable range of our products. Warehouse of Games – Let’s create magic! Year End Clearance Sale !! WOG Year End Clearance Sale is on. So Hurry Up & grab your machine!! Offer valid until stock last. For more details and booking, contact WOG sales team. 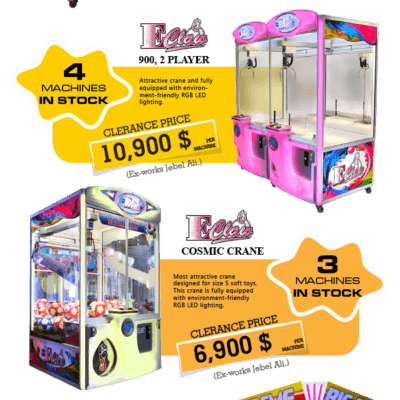 Warehouse of Games Ltd. is considered one of the largest suppliers of arcade games and rides for Family Entertainment Centers for the Middle East Region.